Dr. Maulin P. Shah completed his M.Sc Microbiology and then received his Ph.D. from Sardar Patel University, Vallabh Vidyanagar, Gujarat. 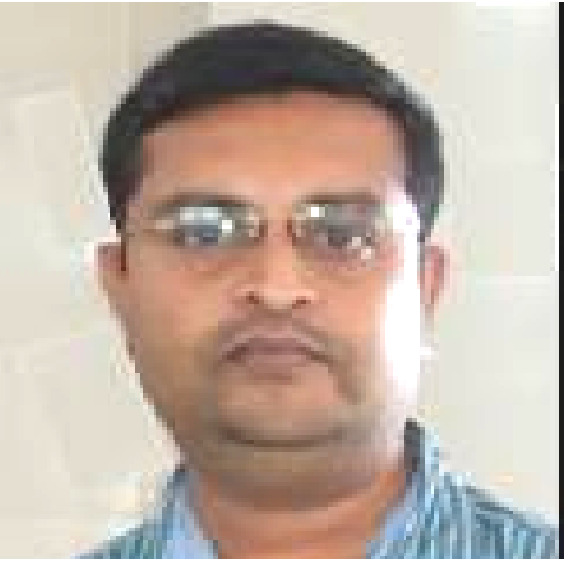 He has served as an Assistant Professor at Godhra, Gujarat University in 2001. He has more than 120 research publication in highly reputed national and international journals. Currently he is Chief Scientist & Head of Industrial Waste Water Research Lab, Division of Applied and Environmental Microbiology Lab at Enviro Technology Ltd., Gujarat, India. Cellular Biology; Molecular Microbiology; Advance Biotechnology; Advance Biochemical Engineering; Environmental Microbiology; Bio-remediation; Bio-degradation; Waste Water Microbiology; Waste Water Genetics; Protein Engineering; Fermentation Technology. 1. G.V.Reddy, K.S.Dolt, P.D.Kunjadia, M.P.Shah & I.L.Kothari Bioaccumulation of Limonoids in Pl.sajor-caju. Journal of Scientific & Industrial Research. Vol: 60, December 2001. Pp.937- 940. 2. G.V.Reddy, M.P.Shah, I.L.Kothari & A. Ray. Infrared spectroscopic analyses of Banana waste degraded by oyster mushroom. Indian Journal of Experimental Biology, Vol. 40, September 2002, pp. 1038-1042. 3. G.V.Reddy, M.P.Shah & I.L.Kothari Effect of Vitamins and Growth Regulators on Growth and Biological Efficiency of Pl.ostreatus and Pl.sajor-caju. Indian Journal of Microbiology, Vol.42, December 2002, pp.335-337. 4. Maulin P Shah, G V Reddy, Rajarshi Banerjee, P Ravindra Babu & I L Kothari Microbial Degradation of Banana Waste Under Solid State Bioprocessing Using Two Lignocellulolytic Fungi (Phylosticta spp. MPS-001 & Aspergillus spp. MPS-002) Process Biochemistry. Vol. 40, 2005, pp.445-451. 5. Maulin P Shah, A Nagee, Kunjadiya Prashant, P N Mukopadhyay, & Kothari I L. Identification of an anonymous RFLP DNA probe through Multiple Arbitrary Amplicon Profiling and its use for strain differentiation of a field isolate of cellulose-degrading Aspergillus niger (MPS-002). Vol.34, 2006, pp.334-339, Bio Resource Technology, December 2005. 8. Maulin P Shah, Kavita A Patel, Sunu S Nair, A.M.Darji. Bioremoval of Azo dye Reactive Red by Bacillus spp. ETL-1982. Journal of Bioremediation & Biodegradation (2013), Vol: 4:3 (USA). 9. Maulin P Shah, Kavita A Patel, Sunu S Nair, A.M.Darji. Optimization of Environmetnal Parameters on Microbial Degradation of Reactive Black Dye. Journal of Bioremediation & Biodegradation (2013), Vol: 4:3 (USA). 17. Maulin P Shah, Soniya Sebastian, Hemangi Mathukiya, A.M.Darji, Jigna Patel, Kavita A Patel. Decolorization of Remazol Black-B by Three Bacterial Isolates. Romanian Achieves of Microbiology & Immunology (Romania), (2013). 22. Maulin P Shah, Kavita A Patel, Sunu S Nair, A.M.Darji. Selection of bacterial strains efficient in decolorization of Remazol Black-B. OA Journal of Biotechnology (UK). (2013), 01:2(2):14.